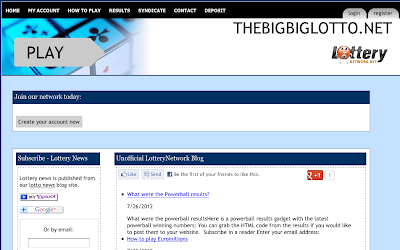 Lottery News: Welcome to our newest Partner Site - TheBigBigLotto! Welcome to our newest Partner Site - TheBigBigLotto! We would like to welcome The Big Lotto as our newest partner site. Go visit and buy some tickets to show your support!